Despite its uncertain start the F-111 proved to be one of the most successful and influential designs of the 1960s. 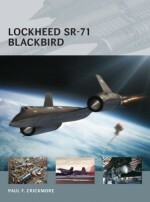 Its radical ‘swing wing' was adopted by the F-14 Tomcat, Panavia Tornado and Rockwell B-1B Lancer while its turbofan-type engines became standard in many combat aircraft. F-111 crews pioneered tactics using terrain-following and laser targeting devices that made the F-15E Eagle's missions possible. Its 4,000 low-altitude penetration missions during Operation Linebacker in Vietnam showed how individual aircraft can deliver crippling blows to enemy capability without loss to themselves. The recent retirement of the F-111 from Australian service appears to have created a surge of interest in the type, which hasn't been featured in previous Osprey works. Peter E Davies has written or co-written nine books on modern American combat aircraft, including the standard reference work on US Navy and Marine Corps Phantom II operations, Gray Ghosts. He is based in Bristol, UK.